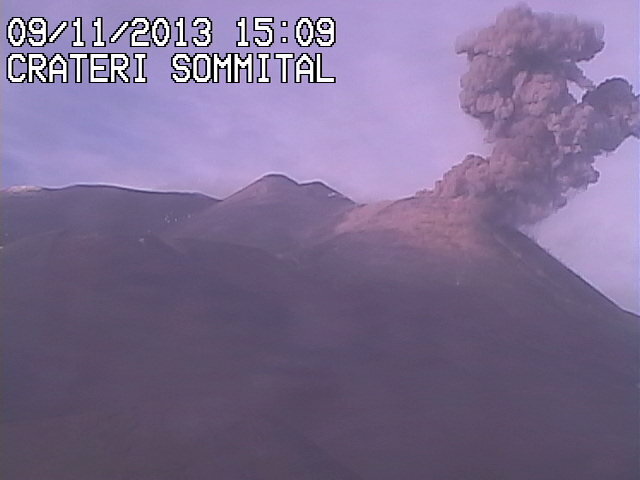 Etna (Sicily, Italy): A relatively large explosion has occurred some minutes ago. Volcanic tremor still doesn't show a clear trend. An explosion around shortly past 23:08 (LT) on the picture attached was relatively strong. Guides from Etna confirmed that some of the explosions during the past days threw bombs as far as the Torre del Filosofo area. Access to the area above 2500 m is currently limited.